Welcome to the website of Dr. Dwayne R. Burbach and Dr. Russ Wilson. General dentistry, state-of-the-art technology and patient care at its finest. When you walk into our office, we wish for you to feel comfortable, secure, and very well taken care of by us and our staff. We specialize in restorative and cosmetic dentistry. We offer a wide variety of dental services and restorative procedures such as tooth whitening, root canals, crowns, veneers, and dental implants. We can help you achieve the smile you've always wanted. Please feel free to call us anytime. We appreciate this opportunity to introduce ourselves and look forward to providing you with quality dental care. Click here for more information regarding the services Dr. Burbach and Dr. Wilson can provide. Or give us a call at 805.466.3328. With state-of-the-art technology, including laser dentistry and digital X-rays, Dr. Burbach and Dr. Wilson are very attentive to every detail. Their experiences include a full range of disciplines, from preventive dentistry to cosmetic dentistry to restorative dentistry. In short, Dr. Burbach and Dr. Wilson's purpose is to deliver the comprehensive dental care you need today, tomorrow, and in the future. Dr. Burbach has been in business in Atascadero for over 30 years and he realizes that prioritizing your dental visits can be difficult. Dr. Burbach and Dr. Wilson understand your busy schedule, so to serve you well, we schedule appointments five days a week, from as early as 8:00 am to as late as 4:15 pm. We also submit dental insurance claims and accept various methods of payment, including financing through CareCredit, a respected institution with low- and no-interest plans for qualified applicants. Our goal is to make the entire dental experience positive and as stress-free as possible. 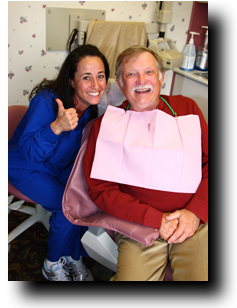 Since 1980, Dr. Burbach has provided the one-on-one, quality dental care San Luis Obispo County area families want. In 2016 Dr. Wilson joined our team as Dr. Burbach's associate to additionally provide care for our patients. At your first visit, the dentist will take time to discuss your immediate concerns, review your oral health records, and explain his recommendations for treatment. We always welcome questions because we want you to make wise decisions about your dental treatment. 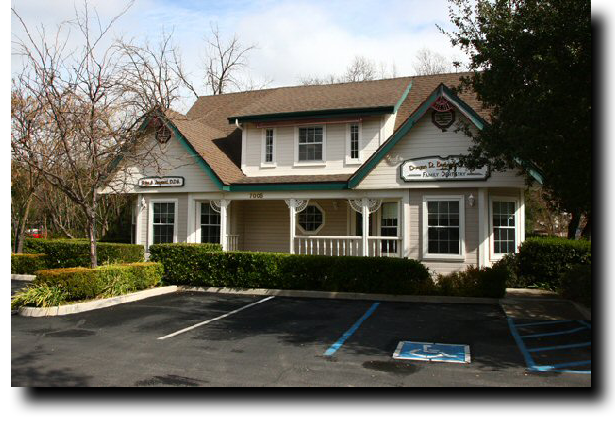 Our inviting dental office is conveniently located on the corner of Morro Road (Highway 41 West) and Atascadero Avenue. While most of our patients live in Atascadero, Paso Robles, Templeton, and Santa Margarita, we also have patients who travel from greater distances. Call today to reserve your personal consultation with Dr. Burbach and Dr. Wilson, and discover a smile with confidence.